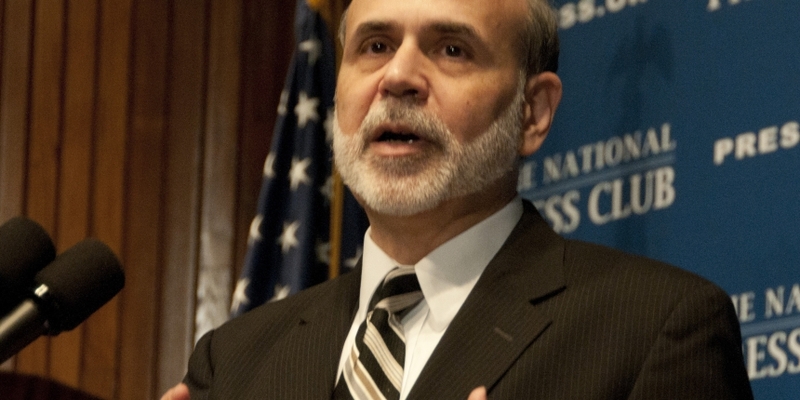 Former Federal Reserve chairman Ben Bernanke offered both muted praise and criticism when discussing bitcoin in a new interview, suggesting that government oversight of blockchain transactions could counter perceived risks. Speaking to Quartz, Bernanke said that bitcoin is “interesting from a technological point of view”, pointing to wider developments in the emerging payments space. “We’re in a world where the payments system is evolving quickly and new approaches to managing payments are proliferating, and some of the ideas around bitcoin will no doubt be useful in doing that,” he told the publication. He went on to suggest that government officials might look to boost oversight of digital currency activity, highlighting the perceived anonymity of bitcoin and pointing to its role as “a vehicle for illicit transactions, drug selling or terrorist financing or whatever”. “And you know, governments are not happy to let that activity happen, so I suspect that there will be oversight of transactions done in bitcoin or similar currencies and that will reduce the appeal,” he said in the interview. The comments come more than two years after Bernanke, in a letter to Congress, highlighted the possible benefits and risks of digital currencies.